How to Reach: Cavelossim beach can be easily reached by hiring a cab or an auto from any nearby place in south Goa. One of the most famous beaches in India, the Cavelossim beach of Goa will give you the experience of a lifetime when you come here for a vacation. Known for its luxury hotels and wonderful beach resorts, the Cavelossim beach knows how to combine style, comfort and beauty. 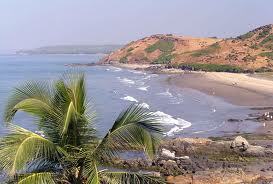 The Cavelossim beach lies in south Goa and is located between the Arabian Sea and the Sal River. The paddy fields in the backdrop and the calm Sal River make the beach look beautiful and create a very soothing ambience. The Cavelossim beach is the ideal beach to enjoy your vacation, relax and pamper yourself in the luxury resorts that are situated very close to the beach. The Cavelossim beach is famous for its dolphin spotting tours and expeditions. Tourists can rent a boat and ask the concerned authorities to send a guide along. One can also go on sunset cruises on the Sal River. Feel the magic take over as you feel completely at peace with yourself when you see the sun set at a distance and water gets painted golden orange. Swimming is allowed on the beach in the shallow areas but you need to consult the concerned authorities before you jump in the water. Dolphin cruises in the sea are fun and you can be sure to spot a dolphin or two cruising along your boat. If you are lucky enough, they can come real close and allow you to touch them. The luxury resorts and hotels near the Cavelossim beach in Goa offer world class service and you can be sure to be spoilt silly by the amount of attention they shower on you. You can find everything that you need for a perfect vacation in the resorts near Cavelossim beach. There are some local shacks at the beach also that provide accommodation though it may not be as good as the resorts. But when it comes to sea food and Goan cuisine, the resorts and the shacks score equal points. The food is absolutely delicious and will leave you asking for more. So come to Cavelossim beach and enjoy life in its best form.